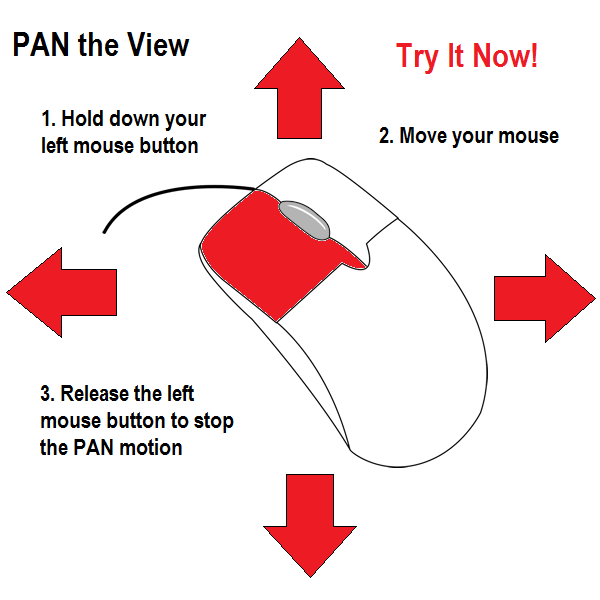 Pan the View – The first type of movement for 3D Internet Browsing is the ability to Pan the View. This movement imitates you standing in one location and looking around; up, down, left, or right. Panning will change the direction you are facing. If you repeat the process a number of times left or right, you will complete a full circle back to your original direction. As you turn left or right, the compass heading rotates to match the direction you are facing. This is useful in navigating the 3D Building Websites. The second type of movement for 3D Internet Browsing is the ability to Walk the View. This is forward and backwards movement based on the direction you are facing. Walking will change your location on a Grid or 3D Community Website. 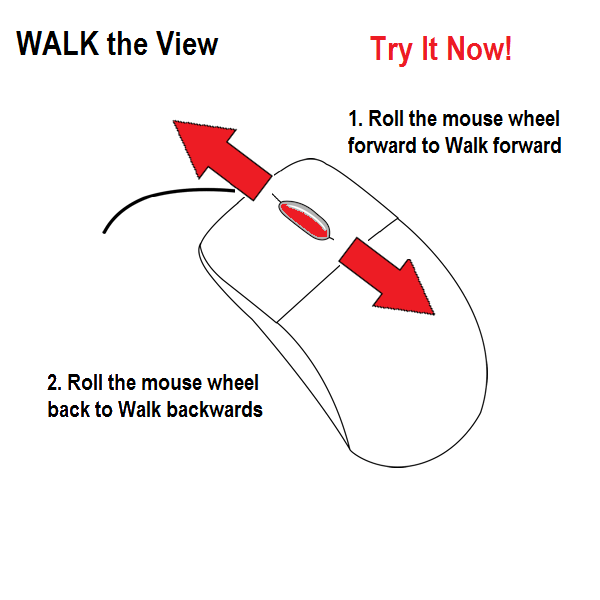 In addition to using the mouse to walk the view, you can use the keyboard as well. 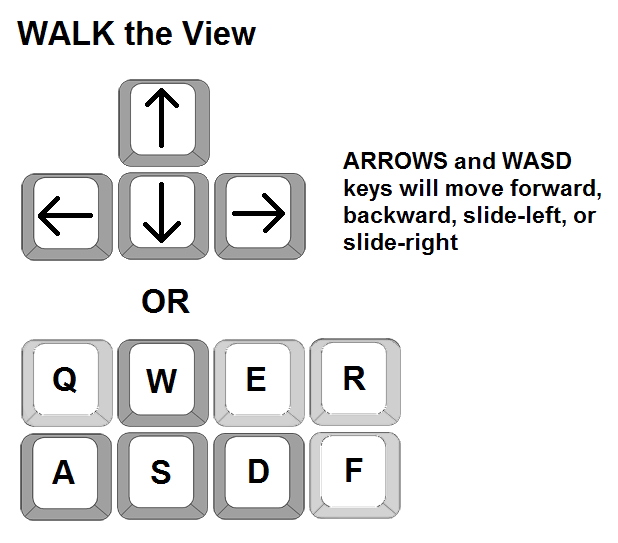 Using the left, right, up, and down arrows you can move forward, backward, to the left, and to the right. 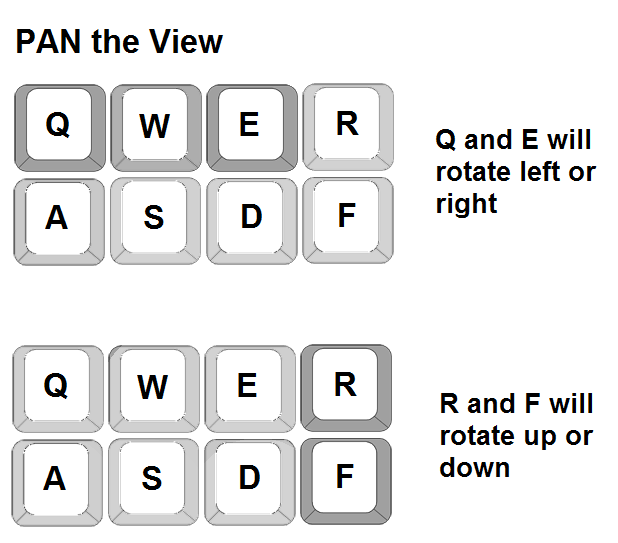 On the same keyboard you can use the w, a, s, and d keys on the keyboard like the arrows keys if that configuration is better for you. Next, what makes it work? The HTTP3D Framework.